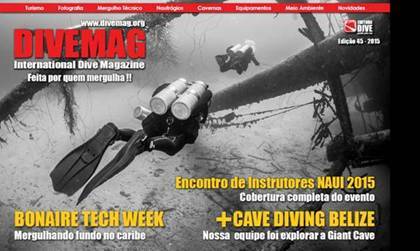 An amazing press release on tech dive which also highlighted Bonaire on its front page was published in the 45th edition of Brazilian Divemag. This was as a result of the recent visit of NAUI Team visiting the island. The complete thirty-three (33) pages report delighted Brazilians increasing their interest to discover Bonaire as their next tech dive destination. 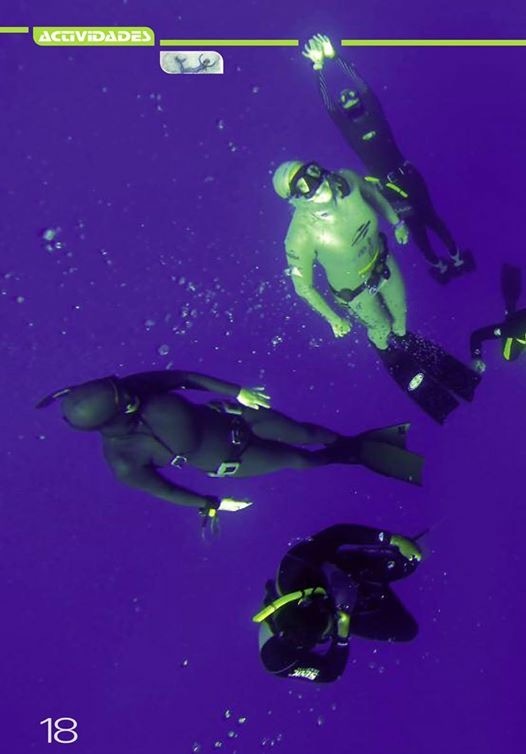 Espacio Profundo from Mexico also highlighted the tech dive in Bonaire with a 10 page article titled “Bonaire tech el mejor buceo de costa” (Bonaire tech the best shore diving) was published in the 140th edition last December. As part of the agreement reached with NAUI Tech dive team in Bonaire together with the magazines Divemag Brazil, Espacio Profundo Mexico and Tiempo de Fondo Argentina, readers can enjoy the first two press releases of Bonaire. Soon the report in Tiempo de Fondo Argentina will follow. The great news was the official publication of Worldwide NAUI Dive Association magazine which had Bonaire on the front cover. 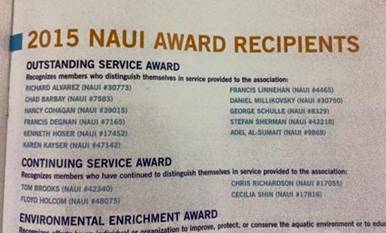 TCB thanks NAUI Association for having selected Bonaire to develop such an interesting TECH DIVE project on island. The Bonaire Photo Contest ended successfully in its second edition with 705 photos participating. The eight winning photos were selected by International and local judges in Bonaire. The photo contest had winners from: Brazil, Holland, Austria, United States, Venezuela and Costa Rica. Also a special recognition was given to photographer Jeffrey Stamer from United States. He had two of the top photos competing for the first place in the Professional category top side. TCB-Latin America would like to thank all the sponsors who offered great prizes for the winners. Bonaire stays active in the Brazilian market through the marketing activities of: advertising campaigns in Divemag digital magazine, which is a very popular magazine among active divers (200,000) and participation at main dive show Padi Dive Festival, this year taking place at Sao Paulo Expo Center from October 6th to the 10th. The Sales Blitz in Sao Paulo is directed to large centers and wholesalers and will be programmed during Padi Festival. TCB continues giving support to trade partners and stakeholders on island while developing campaigns through digital platforms. 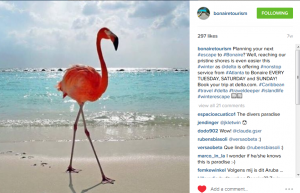 Successful posts are being added on social media “Turismo Bonaire” both in Spanish and Portuguese to increase engagement with Latin fans. The number of followers is increasing rapidly as we continue posting daily images of Bonaire’s diving, soft adventure activities, culture, island events, promotion of our companies on island, engagement campaign and much more. TCB-Latin America continues positioning Bonaire in the region as a Top Dive destination and the best soft adventure in the Caribbean. TCB-Latin America will focus its marketing strategy in the year 2016 in the markets of Colombia, Venezuela and Brazil. Airlift opportunities expanded for Colombia and Venezuela with Sundance Air offering non-stop charter flights between Bonaire and Venezuela; this will re-activate the leisure and corporate market. With Avior/Tiara Air strategic alliance plan offering inter island services, this will improve connectivity from South America. Insel Air is flying from Medellin and Barranquilla connecting Bonaire via Curacao. The airline is contemplating on adding Cali and Bucaramanga within its expansion routes. Since the Colombian market no longer needs a visa this will attract not only divers but also leisure and soft adventure visitors. The program of Sales Blitz, fam trip and press fam continues in close cooperation with Insel Air. Sundance registered the company Bon Sky in Bonaire and offers flight services between Venezuela and Bonaire. In February TCB Headquarters and TCB-Latin America met with the owners of Sundance Air Venezuela and agreed on giving support to this great initiative that will increase tourism towards Bonaire. During Anato trade show in Bogota, TCB-Latin America conducted a meeting with the airline owners. Avior Airlines started flying from Bogota to Aruba and Curacao on March 3rd with very competitive rates. The great news obtained was that Avior is contemplating on expanding its Caribbean routes with services to Bonaire. Furthermore, Avior purchased Tiara Air and is planning to provide inter island services. TCB-Europe is developing one or two retail promotions in collaboration with a well-known brand or retailer, aimed at the Dutch leisure tourist. A nationwide promotion with the brand CHIO is being organized in 1000+ supermarkets in the Netherlands this coming winter. CHIO is market leader in its category and has communicated a prize contest on 100,000+ bags of chips. The winner will receive airline tickets and accommodation for a vacation to Bonaire. 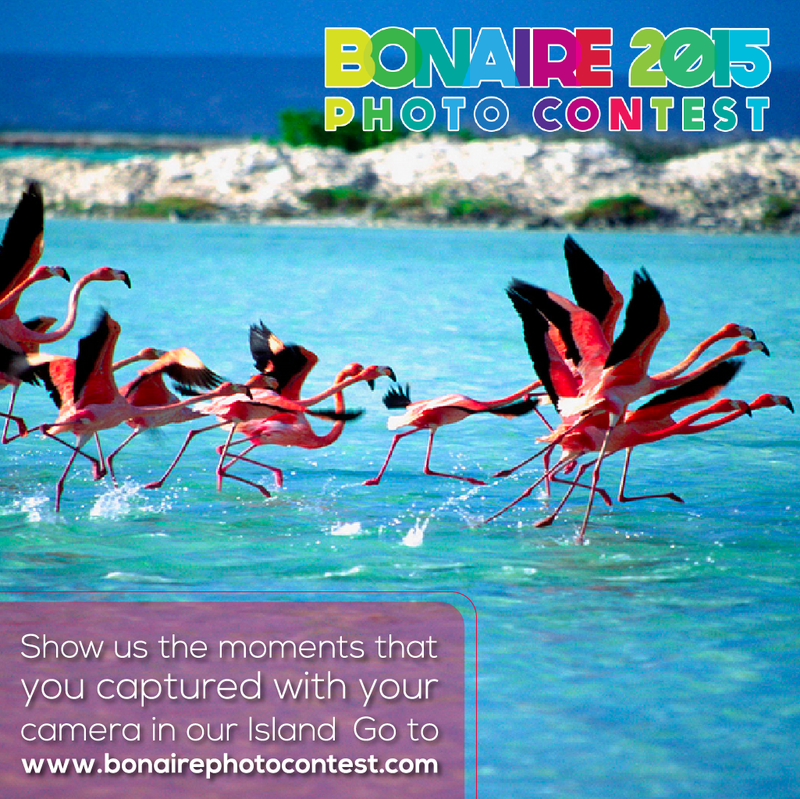 Plus all participants will enjoy a discount voucher towards a vacation to Bonaire. 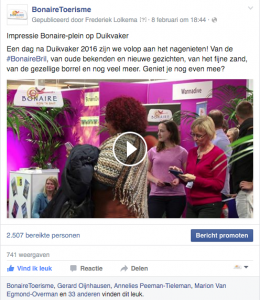 Bonaire was well represented at the Duikvaker trade show in February. A Bonaire Square was built in collaboration with the private sector. The Bonaire Square visitors had the opportunity to enjoy a Bonairean beverage. 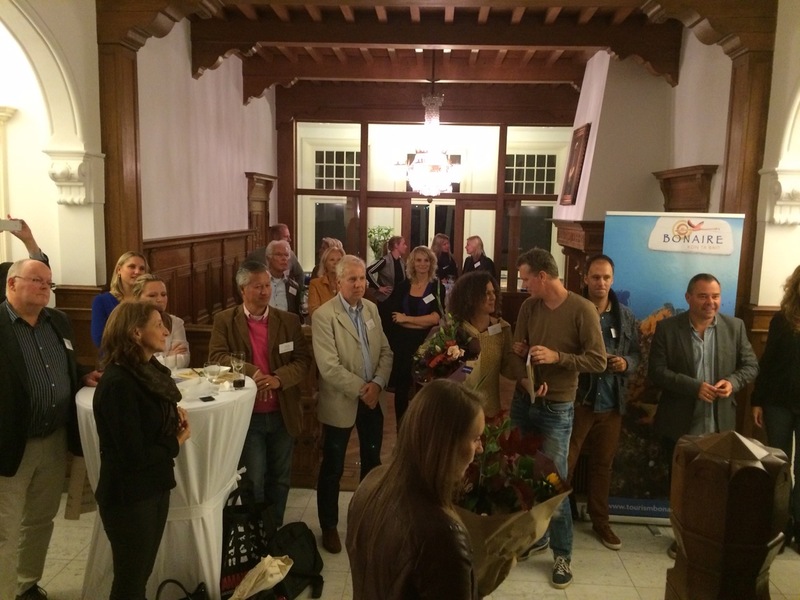 On the Saturday, prizes were awarded to the winners of the Bonaire contest in Duiken magazine. During the trade show video clips were made that drew a lot of attention and had a high reach when they were posted on Facebook. If you also want to participate in the 2017 Duikvaker trade show, please send an email before June 1st to europe@tourismbonaire.com. 121,593 Dutch people visited the Vakantiebeurs on its 46th edition, to get inspiration where their next vacation destination will be. 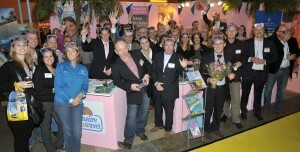 The Vakantiebeurs took place this year from January 13th to 17th. 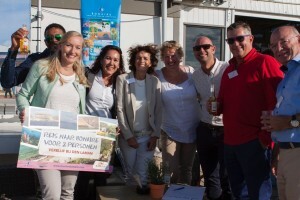 During the Vakantiebeurs, Duikeninbeeld.tv won the “Pink Egg”, since they are focusing a great deal of attention on promoting Bonaire http://duikeninbeeld.tv/reportagewedstrijd-2016-jouw-ticket-naar-bonaire/. The ITB, the most important Business-to-Business travel trade show, was held in Berlin the second week of March. Sapias Holding, Plaza Resort and Carbo TCC represented ten Bonaire accommodation providers and established (new) contacts with tour operators. Numerous talks were also conducted with dive media during the ITB, as a result of which new dive press publications will be prepared for the coming year. If you would like to participate in the ITB in 2017, please send an email before June 1st to europe@tourismbonaire.com. Bonaire’s Carnival was listed as one of “The 10 Best Carnivals in the Caribbean,” by USAToday.com. The article describes Bonaire’s Carnival season as a family-friendly affair, and highlights a variety of the festivities that take place during the celebration including the children’s parade, kid’s festival and the crowning event at the Kralendijk Stadium. Click here to read the full article. 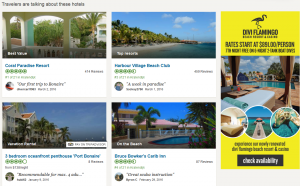 Bonaire was featured as one of the 10 Caribbean islands in Coastal Living’s article entitled, “Which Caribbean Island is Right For You.” Bonaire is showcased as the perfect island for people who are looking to plan their next dive vacation. Click here to read the full article. 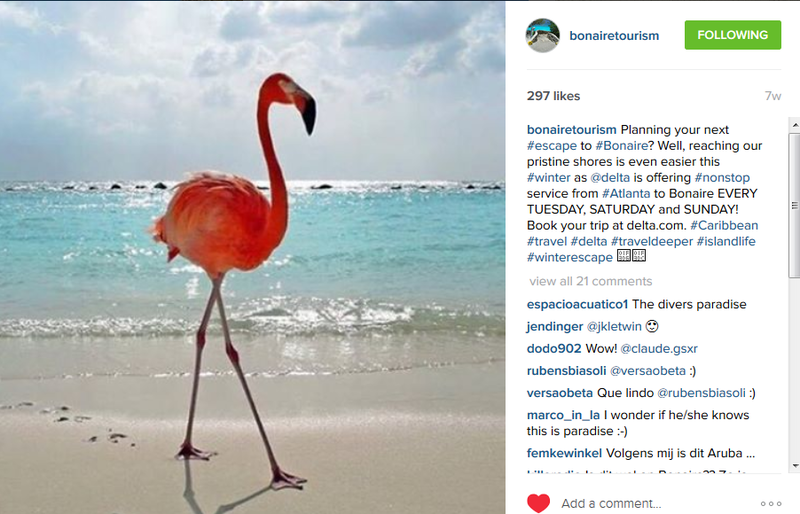 Entitled “Go Big or Go Home,” Bonaire is featured as one of the adventures to kick off 2016. The Coral Restoration Foundation Bonaire (CRF), and planting a coral reef in Bonaire are highlighted as the activity to participate in for the month of November. Click here to read the full article. The article entitled “Underwater Paradise: Spectacular snorkeling in the Caribbean,” recognizes Bonaire as one of the best islands for snorkeling in the Caribbean. The article mentions that Bonaire is the recipient of several awards for its superb snorkeling, also listing the variety in species that can be found while snorkeling. Click here to read the full article. On November 4-7, 2015, Tourism Corporation Bonaire was respresented by Malinda Hassell, Marketing Manager of TCB-Headquarters, TCB-North America representatives Candice Kimmel and Marie Rosa and TCB-South America representative Yasmin Perez at the 39th Annual DEMA Show. The Show was held at the Orange County Convention Center in Orlando, Florida. Over the course of the four-day event, thousands of Show attendees including, dive industry professionals and members of the media visited the TCB Booth in the Bonaire Pavilion to either familiarize themselves with the destination or to see old friends to discuss plans and programs slated for the upcoming year. Representatives were on-site to assist with potential travel planners, address questions and concerns and distribute promotional materials. The Bonaire Pavilion was also promoted via ad placement in the official DEMA Directory, postcard placement in the attendee registration tote bags and with additional signage and collateral at the Be A Diver Pool for which Bonaire is the Title Sponsor. 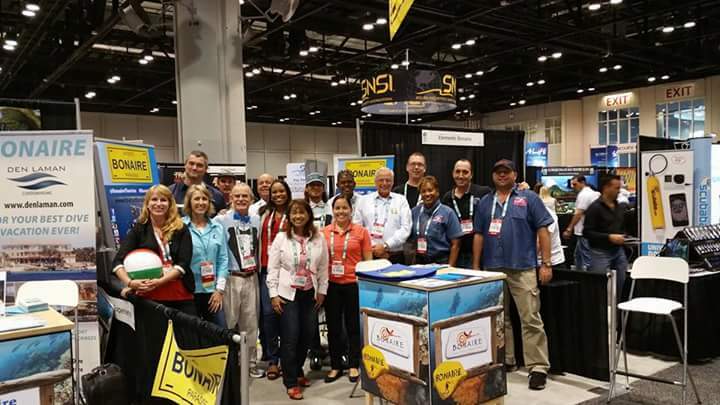 On opening day of DEMA Show, the Bonaire Pavilion hosted a Bonaire Happy Hour for Bonaire travel partners at The Rocks Bar at Hyatt Regency Hotel Orlando, from 6:00pm – 8:00pm. Exhibitors from the Bonaire Pavilion that participated in the happy hour included representatives from BONHATA, Budget Rent a Car Bonaire, Captain Don’s Habitat, Den Laman Condominiums, Divi Flamingo Beach Resort & Casino, Dive Friends Bonaire, Insel Air, Sand Dollar Condominiums, TCB and VIP Diving. 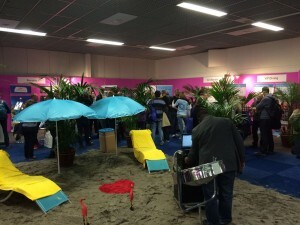 Digital promotion of the Bonaire Pavilion was implemented this year by TCB’s sponsorship of the DEMA Show app. To augment the sponsorship, TCB created a DEMA Show landing page for TourismBonaire.com. The landing page listed the name of exhibitors in the Bonaire Pavilion, and included a hyperlink to each of their websites and booth numbers. A Bonaire banner ad was displayed and rotated on the DEMA Show app homepage. Once attendees clicked on the Bonaire banner in the app, they were redirected to the Bonaire DEMA Show landing page. The TCB delegation also met with various travel partners to discuss trends, market intelligence and strategies for 2016 and also attended several seminars with topics ranging from advancements in mobile technology and social media to DEMA Membership updates and news items. Carol Johnson, Destination Sales Manager of TripAdvisor was on site in the Bonaire Pavilion to meet with Bonaire’s private sector to explain the 2016 Bonaire Coop TripAdvisor Advertising Campaign in a one-on-one setting. The annual DEMA Show, the largest trade-only event in the world for companies doing business in scuba diving, ocean water sports and adventure/dive travel industries, attracts hundreds of exhibitors and thousands of dive and travel industry professionasl from around the world. In addition to providing an arena in which to conduct business and network, DEMA Show offers participants the most extensive education curriculum in the industry including DEMA-Sponsored Seminars and Exhibitor-Sponsored Seminars from participating manufacturers, travel destinations and dive certification organizations. 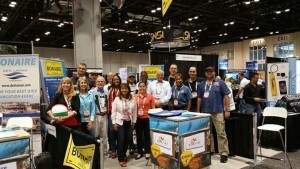 DEMA Show is produced by DEMA, the Diving Equipment & Marketing Association. TCB is proud to announce the new destination video that has been created to promote the island of Bonaire. Whether you are a scuba diver, adventurer, nature lover or just want to spend the day at the beach, Bonaire has something to offer everyone. The video shows the nature, history, culture and adventure you can experience when visiting Bonaire. Bonaire International Airport (BIA) gives the following updates about air traffic for Bonaire: TUIFly started with a third Amsterdam rotation: flights will now be on Tuesday, Friday and Saturday. Furthermore, Insel Air is looking into scheduling daily flights Bonaire-Aruba to connect to the US connecting flights in Aruba; Insel Air is looking into the possibility of a direct flight Bonaire-Bogota possibly effective July 2016. The new Rescue & Fire Fighting Station is scheduled to be completed by the end of 2015. The new Air Traffic Control Tower will be completed construction wise by the end of November 2015. The process of installing all equipment and instruments will be installed and scheduled to be operational by April/May 2016. The new Apron (aircraft parking area) is scheduled to be constructed in 2017 and construction of the new Terminal is scheduled to begin in the year 2019. Weekly non-stop service from George Bush International Airport (IAH) is every Saturday. Return flight will depart Bonaire every Sunday. Tourism Corporation Bonaire’s (TCB) Cruise Tourism Manager, Gabriele Tixi, has reported a successful outcome from Bonaire’s participation in the 22nd Annual Florida-Caribbean Cruise Association’s (FCCA) Conference & Trade Show, held from October 5–9, 2015 in Cozumel, Mexico. 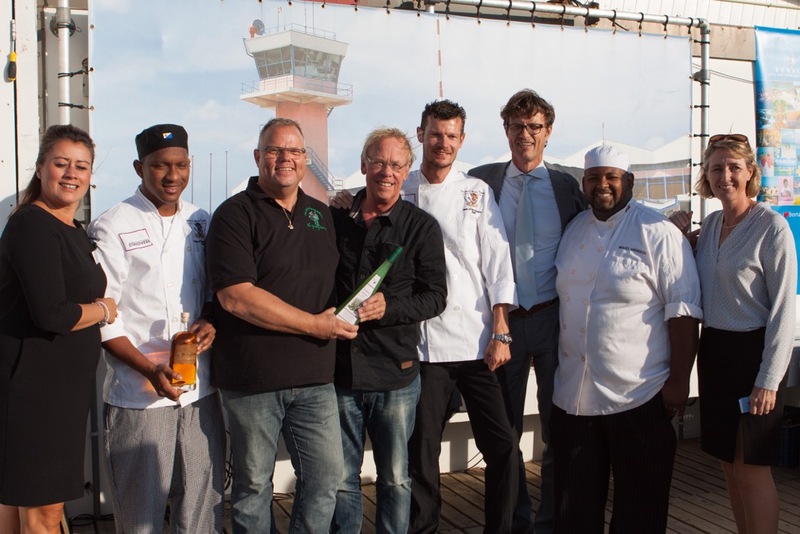 The Bonaire delegation was comprised by TCB Cruise Manager Gabriele Tixi. Tixi reports that the event was well attended with over 1,000 people present, including a large showing of Cruise Executives. Despite the global growth, the Caribbean continues to headline the Cruise Industry’s success as it again ranks as the dominant cruise destination, accounting for more than a third (35.5%) of the global deployment capacity market share. It is expected to further expand with a forecast of approximately 23 million passengers sailing the oceans, which is a 4% increase over 2014. This expansion is driven by 22 new vessels, representing 20,000 new beds, and an investment of over $4 billion slated for the year 2015. As reported by Central Bureau of Statistics, Bonaire received 5 percent more air passengers as tourist in the first half of 2015 than in the same period in 2014. In the first half 68.8 thousand tourists landed on Bonaire, an increase of over 5 percent compared to the first six months in 2014. Especially April saw more tourists visiting the island: 1.300 more than the year before. 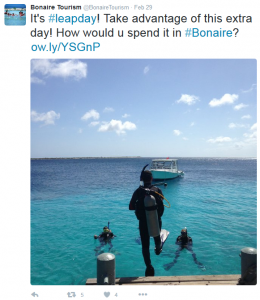 More than half of the tourist flying to Bonaire were Dutch nationals. Of this group 29 percent lived in the European part of the Netherlands, while the other 25 percent were Dutch nationals living outside the Netherlands. The Americans formed the second largest group with 23 percent. The overseas representatives and TCB Head Quarters shared their strategies and will be focusing more on targeted digital marketing with the objective of driving traffic to www.tourismbonaire.com, and increasing participation from Bonaire’s tourism stakeholders on future projects. The TCB offices will focus on product development that complements the destination’s profile. Programs that can be managed and measured and that allow TCB to generate funds to enable the organization to become more financially self-sufficient. TCB offices are working on their 2016 plans and marketing activities; ones ready and in place will be executed after receiving feedback from the private sector and important stakeholders. TCB would like to thank all for their collaboration and is working towards the future of Bonaire’s Tourism Industry. Next year, Bonaire is scheduled to be the Vlog Partner with Duiken, one of the leading Dutch dive publications. 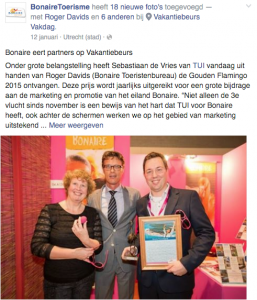 The partnership includes, video blogs dedicated to Bonaire and short vlogs to promote social media for both Duiken and Tourism Corporation Bonaire; also included is a series of published articles and a media visit tentatively set for April. We will keep you informed on the details. Preparations are underway for the upcoming shows in Europe. We’ll start the year off with Vakantiebeurs on January 12 -18, 2016 in Utrecht. 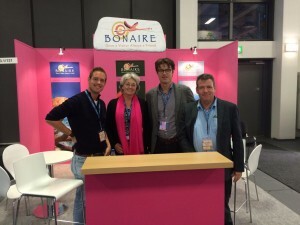 Bonaire will be located in the Caribbean Pavilion. As in previous years, the Trade-day on January 12 will be an important day for us as we will award the Bonaire promotion prize during the “Bonaire Moment”. Other shows scheduled for 2016 are BOOT Dusseldorf on January 23 – 31, Duikvaker February 6-7, and ITB Berlin, March 9-13. TCB-Europe will also be reaching out to new trade partners in the respective areas of where the shows will be held to schedule appointments for the participating Bonaire exhibitors. The Argentina dive magazine August 2015 edition highlighted Free Diving Bonaire event by Karol Meyer. With a three page report under the title “Apnea Total” the article was dedicated to the famous freediver Karol Meyer (www.karolmeyer.com) who has – amongst conquests – several recognitions and World records. 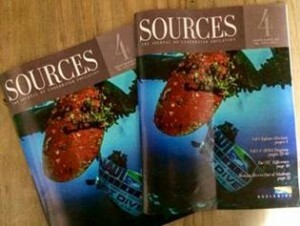 Click on www.revistatdf.com to enjoy the report. 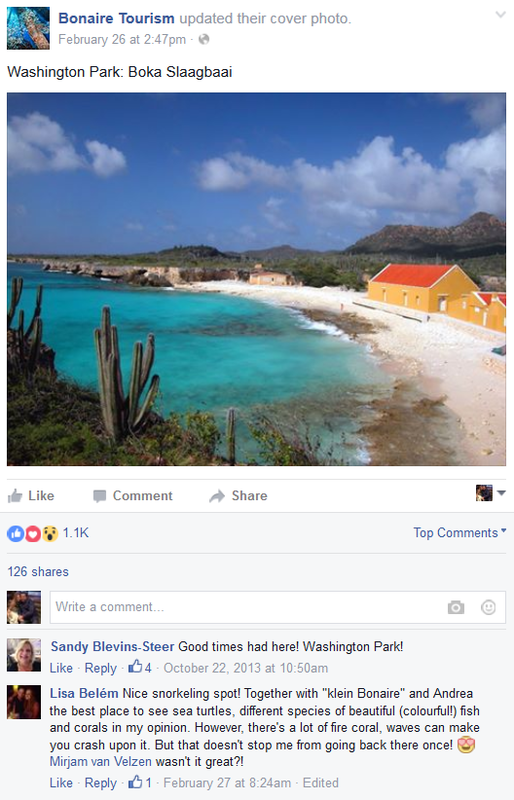 Groups from Argentina are discovering Bonaire, and spreading the word. Same as Brazil, the Argentina market connects to Bonaire, mainly via Colombia with Avianca and Panama with Copa. We are proud to present our new edition of Bonaire bilingual brochure 2015. The booklet is a great initiative of TCB-Latin America now reaching its fifth edition. Take a look at its beautiful front page. Isn’t it eye catching? 11,000 booklets in total were printed in Brazil and Colombia. 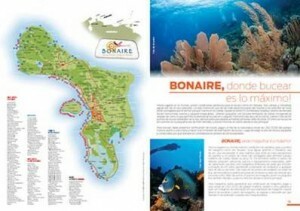 It will be available in digital version to be uploaded at Bonaire website. The new Bonaire booklet was a perfect occasion to introduce TURISMO BONAIRE, the new Facebook page created for the TCB-Latin America community. Our 32 page booklet is available in Portuguese and Spanish, and is beautifully designed with attractive images and island information, which was distributed recently at the PADI Dive Festival. Bonaire’s trade partners agreed this version of our booklet is amazing and beautifully designed. 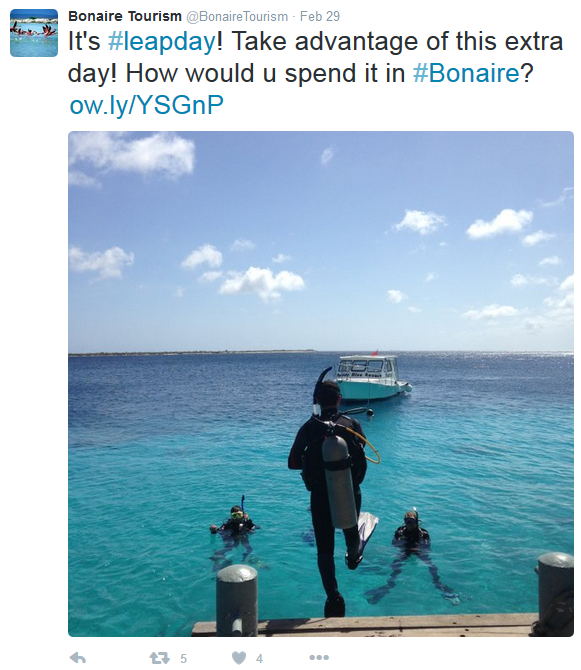 TCB-Latin America feels proud to promote Bonaire with this valuable marketing tool. TCB-Latin America would like to thank all of the Bonaire companies on island that supported this great initiative that will soon be available digitally.